Marlboro, NJ is a medium-sized township in Monmouth County. If you’ve just moved here for the modestly priced homes or you’re here to visit, finding a new dentist can be a bit overwhelming. Searching through the phone book or even the yellow pages to find a dentist available when you need them can take quite a long time. When you need to find a new dentist fast, turn to emergencydentistsusa.com. When you get to the site, you’ll be able to search by the city that you’re in, which means that even if you’re travelling, we can help you find an emergency dentist when you need one most. Each of the listings will offer you a list of the dentists in that city, the office hours that they are available, some of the procedures that they perform, and even some of the insurances and copays that they accept. If you’re unable to get to a computer, simply call our toll free 24-hour dentist finder hotline. One of our friendly representatives will be glad to assist you in finding the perfect dentist to match your needs. Once you choose a dentist, they’ll even be glad to set up your first appointment and provide you with directions to the office. When you go to your first appointment, it’s important to arrive about 15 minutes early. A dentist office that you’ve never been to will require you to fill out a packet of new patient information. It’s important that you come prepared for your appointment too. Make sure you bring a valid photo ID, your insurance card if you have one, and a list of any current medications. Since Marlboro is a medium-sized township, you’ll have plenty of choices when it comes to emergency dental care. Many offices offer later hours during the week as well as weekend hours to ensure they are available if a dental emergency strikes. 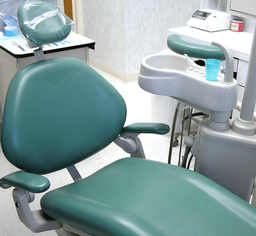 Most emergency dentists are general dentistry with an array of specialists in office. Doctors: Christopher Rossi, D.D.S., Andrea DiLeo, D.D.S. Description: Marlboro Dental Arts is proud to offer dental care to your entire family. They use all of the latest techniques to ensure that you and your family will always have a happy and healthy smile. With a state-of-the-art environment and a friendly staff, each patient receives the best care possible when they visit this office. Doctors: Nicholas Zeik, D.D.S., M.S. Description: Zeik Dental takes excellent care of each of their patients. They offer a 24/7 emergency line to ensure that all dental emergencies are handled promptly and they have Saturday hours to accommodate even the busiest schedules. They use a modern and gentle approach to provide their patients with the best dental care possible. Description: Brighter Dental Care is the place to choose if you are experiencing a dental emergency. They provide emergencies with the quickest dental appointments possible. The office will also give free consultations and second opinions on all of their dental services. When you experience tooth pain that lasts longer than an hour, it’s time for you to go to a local emergency dentist. If the pain is onset suddenly, then it could be an infection that has just reached the point of the tooth where it is painful. If you don’t have this treated, then the infection may worsen and spread to the gums as well as other teeth. Any time you’re visiting a dentist for the first time, it’s important that you check their credentials to ensure that they are properly licensed to practice. You can do a quick search of the dentist’s name on the New Jersey Dental Association website to quickly check this. If you’d rather wait until your first appointment, you can check with the receptionist at the time you check in and will likely see this information displayed on various rooms within the office.